Seat Ateca SUV prepared the off-road package, which costs 13,964 euros. The creation of new items engaged in the JE Design tuning studio. 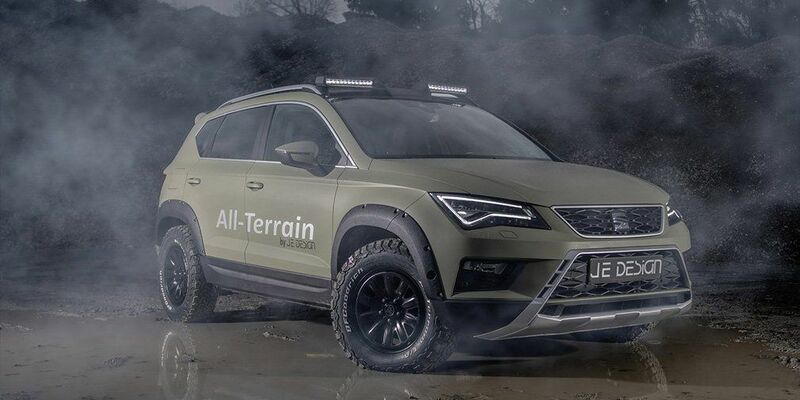 To show the capabilities of the model, Seat with a dealer from Luxembourg presented an All Terrain concept. Auto has enlarged wheel arches, extra body protection, a spoiler, and 16-inch wheels. SUV has a clearance of more than 20 mm. Another car has a special rear bumper cover to protect items in the trunk when loading, plus there is a stainless muffler. Recall that Seat demonstrated the first ever Ateca SUV in Geneva-2017. Auto created based on MQB. The design of the car resembles a 20V20 2015 prototype.